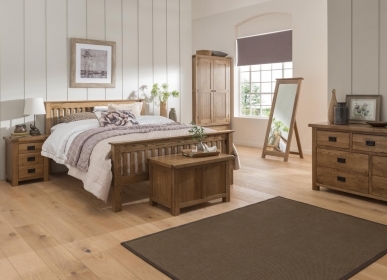 The NP Range: Simple, Nordic style oak furniture with a natural, matte lacquer finish. Petite in stature, but not in design, the NP range has been specially crafted for its simple, Nordic style. 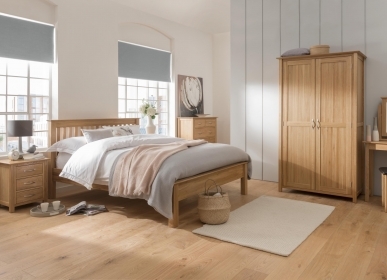 The oak is finished by hand with a natural, matte lacquer which, in conjunction with the straight lines and square edges of the furniture, gives this range a relaxed, pared-back feel. Simple oak knobs add the finishing touch to the drawers and doors of the oak furniture. There are living pieces available in the NP range. 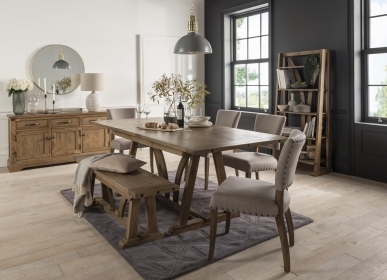 Straight lines and square edges emphasise the simple, Nordic style of the oak furniture.